Sasi Nalla Technologies Ltd., (SNT) is an Information Technology company with 12 years of excellence in delivering the technology services and started with sole aim of providing customer the Information Technology solution they need and not to make them change according to the technology available. That is, we will not make the customers to buy what we have in our store; instead we will change our product according to your need and give it to you. We will get your problem or the requirement using our panel of expert specialists in your area of business. Suggest a demo of our existing product. Develop an all new product based on your need and give you demo version of it for your evaluation. Based on your feedback, we will change our product (even scraping the product and build new one) and give you a product that exactly matches your need. In this way, you will get exactly what you want and not making you bend to what we have in our store. This process will be repeated until you get satisfied. End to End Website development starting from getting the requirement until hosting of the website. We are specialized in both Static and Dynamic Webpages. We have special expertise on the following fields, Online Ticket Reservation system. All type of content management websites. Online Shopping Websites. All kind of Advertisements. Have expertise in all leading Web Technologies and Reporting Tools. Daily updating of Data and other contents of the Websites. Maintaining and Enhancing the existing Websites and Web based applications. Administering all your web-based systems. Production support for web-based existing applications. Have expertise in all leading Web Technology and Reporting Tools. End to End Software Application/Information Technologies Development. All kind of Windows based and Mobile based application Development. All kind of Database development and administration. Turnkey Software Application/Information Technology Development. Have expertise in all leading Windows, Mobile, and Smart Phone Technologies and Reporting Tools. Maintaining and Enhancing the existing Windows based and Mobile based applications. Administering all your existing databases. 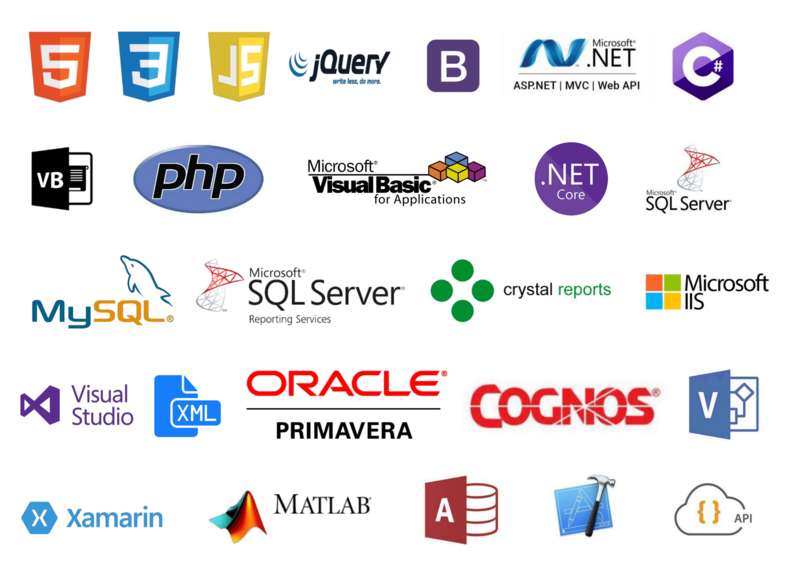 Production support for Windows based and Mobile based existing applications. Have expertise in all leading Windows, Mobile, and Smart Phone Technologies and Reporting Tools. "SNT did an excellent job on this project and I am looking forward to working with them again in the future. Not only did they provide a solid technical solution, but also provided a scalable solution resulting in a superior product." "The company is 100% professional, very capable and did an excellent job on this project. I highly recommend and look forward to the opportunity to do more work together in future!" "SNT has delivered on a major challenge... great job ! We are working ongoing quite a lot." "All in all a very good experience. The coder proposed a solution which was exactly what I was looking for and delivered it quickly. The team is knowledgeable in SQL, DTS and VB scripting and would recommend them for such tasks." "The company has skilled developers in Microsoft technologies and of Office Development in particular is of the highest level. Communication was excellent and turn around time was very quick. Lastly, they were very cooperative with our project schedule and adapted to our pace." "Absolute pleasure to work with, highly skilled, great understanding, very efficient. Already planning another project for them to do in the future, would recommend to anyone." "Quality work and good and frequent communication. Was happy to make amendments to project when criteria we specified was vague"
"They have done an excellent job and provided exactly what I asked for and even added a few features that I did not realize ahead of time was needed. Thanks!" "Very Good, Very fast at producing results. Online help was excellent. Will use again." "They got it done faster than initially promised and working very well. The code is well organized and well tested. The only issues we had were places where our specifications had been vague and his interpretation incorrect. They graciously modified those items for us without additional cost, which they didn't need to do." "I offered the project based on their very convincing portfolio and specification regarding my needs. And the best I can say is that I was not disappointed. They have very experienced and competent developers. They patiently answered all my questions and solved all issues found in my project." "Great interaction and communication - provided fixes as requested and were available and easy to work with. Highly recommended." All our Products and Service comes to you @ lowest cost with highest quality. The rate may vary based on the required expertise and the time frame to complete the work. Please write to us to info@sasinallatech.com for a detailed proposal. Please write your query or message. Copyright © 2011 - 2019 Sasi Nalla Technologies. All Rights Reserved.